Since early this month, I had one task to do. I had to take a picture Kuala Lumpur city skyline at night for my work at the office. I am doing a brochure design and in one of the pages, I need to add in a large picture of KL city to fill in the entire double spread. So earlier this evening I went up KL Tower to get my shots. Photo below is the Kuala Lumpur skyline and KLCC (Petronas Twin Tower) taken earlier tonight for my work assignment. I don’t usually do night photography but when I do, this is the result. Maybe I should do this more often. It is very seldom that I do night photography. I’ve always love to shoot at night with long exposures but prior to this, I don’t have a tripod. I do have one but it broke so I was left without a tripod for a long time. And then I finally get a new one last week. Hi, may I know where is the place where you did this long exposure photo? I went up right on top of Kuala Lumpur Tower for this shot. Hi Azwan, I’m from the Malaysian Association of Certified Fraud Examiners (MACFE). We are currently in the midst of revamping our operations and are developing our new website as I type this. We had the idea of using a ‘Malaysian’ picture for our background. Your photo of the twin towers in the KL skyline caught my eye. We from MACFE would like to request your permission to use your picture in the background of our website. Credit will duly be given to your good self. Ps. Do not be afraid of the website you will see once you open the link. We are upgrading it due to the very reason you might be turned off by it, as we feel the same. Hope to hear from you soon, have a nice day. Yes. 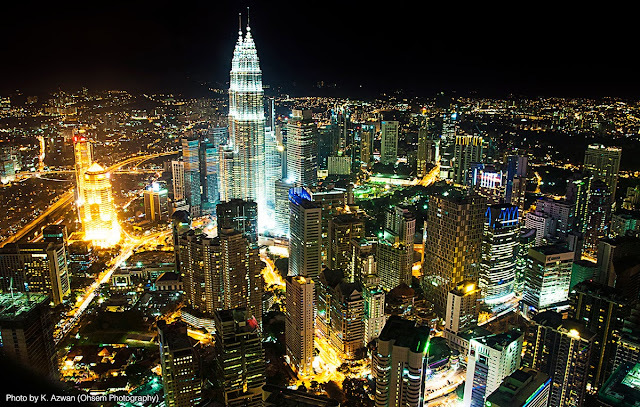 You can certainly use my KL Skyline picture in your website.